A racist note that rocked St. Olaf College two weeks ago was a fabrication written by a student apparently to draw attention to campus climate concerns, the college said Wednesday. The note was "reportedly left on a student's car on April 29. We confronted a person of interest who confessed to writing the note. We've confirmed that this was not a genuine threat," David Anderson, St. Olaf's president wrote in a memo. "We're confident that there is no ongoing threat from this incident to individuals or the community as a whole." While this was not a "genuine threat," the Northfield, Minn., college continues to investigate other racist incidents and are taking them seriously, he added. School leaders remain committed to addressing questions of campus climate, he said. In the April 29 incident, a student reported receiving a threatening note left on her car. The note used a racial slur and read, "I am so glad you are leaving soon." Citing federal student privacy laws, Anderson said the college could not disclose the identity of the message writer or discuss any punitive actions taken against that person by the school. Classes were canceled at St. Olaf on May 1 because of a boycott by students who were protesting alleged racist incidents on campus, including the note left on the car. 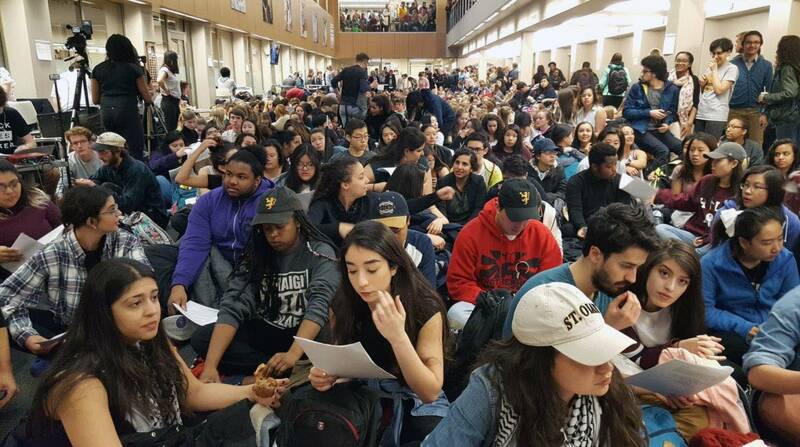 Hundreds of students packed an administration building to protest. Among their demands, the students called for racial and cultural sensitivity training for faculty and staff, the hiring of new staff to facilitate dialogue about campus race relations, and a review of the college's policy on hate crimes and racial threats.